There are numerous manuals that are available for you to read and study. Your IDC Workbook contains: knowledge reviews, several valuable articles, a pre-assessment standards exam and a pre-assessment theory exam. They are valuable and very useful exams and will greatly help you prepare .Familiarize yourself with all of the PADI manuals and their associated videos. Be sure to read and study the PADI Diving Knowledge Workbook, Diving Knowledge Workbook CD-Rom, PADI Encyclopedia and the Encyclopedia CD-Rom (the Encyclopedia has continually been updated and are now easy to use and understand. But aside from theory preparation by far the most important preparation you can do is with time spend assisting with classes, even if this is only in the pool for the confined water portions. The PADI Open Water CD-Rom and Open Water DVD are great tools that contain in-water demonstrations. Be sure to check out the various sections in the Divemaster guide of your PADI Instructor Manual (Physics, Physiology, Equipment, Skills/Environment and the RDP) and both the A & B versions of the PADI Divemaster exam booklet. Current figures show that approximately 90% of the people that fail at the IE do so because of the written exams. So take advantage of ALL available study materials. Remember, you must pass each of the five parts with a minimum score of 75% prior to attending an IE. If you fail any one of the exams you will need to take the entire exam again, with the same scoring criteria. I hope that makes things a bit more clearer for you? The key to your success is to come prepared and willing to learn new information, new techniques and the PADI System Our job is to guide you through this comprehensive and highly effective course. We are not in search of the next Jacques Cousteau Scuba Instructor but just remember that we don’t expect anything from you that we don’t also expect of ourselves. Our standards are high and we do expect that each candidate give 100% throughout the course. We only have a a short time together to accomplish a lot (two weeks for AI and OWSI), so please get ready and be prepared for a life changing experience. It is a fantastic feeling the the moment the PADI Examiner shakes your hand and you have become a PADI Open Water Scuba Instructor. You have a great deal of work ahead of you but the satisfaction, enjoyment and rewards are well worth the effort. You will need to provide your own complete set of Dive Equipment suitable for a PADI Instructor : Mask, Fins, Snorkel, BCD, Regulator with Alternate Air Source and SPG, Weight System, Compass, Two Emergency Signalling Devices (SMB and whistle), Slates, Dive Tables, Exposure Suit (3mm shorty or full suit is recommended), Dive Computer (as well as Timing Device if computer cannot display time) and Depth Gauge (if not integrated in your SPG). Tanks and weights will be provided throughout your IDC and IE. Depending on local conditions you may need to ask for advice about what to bring. In tropical climates where the all year round water temperatures is between 26° and 32° Celsius, you will not need as much equipment than if you do your IDC in Norway in December. Remember with the selection of your exposure suit that sometimes the pool and open water exercises can last over two hours. In tropical conditions A 3mm full shorty wetsuit is the preferred suit of most Instructors. You should have the majority of your dive equipment with you when you arrive for your IDC but its normal for instructor candidates to add to their their diving equipment set from the dive shop as you are expected you to already own and bring along your own complete dive instructor equipment. 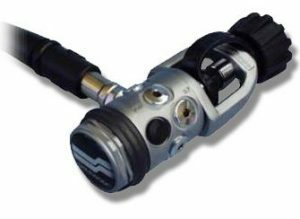 Most Asian countries like Thailand use scuba tanks with International valves, therefore please bring along an adapter if you have a DIN Regulator. You will normally be advised not to bring / use a technical wing BC during your PADI IDC, since these will increase the difficulty of some surface exercises during the IDC and IE. A Regulator with Octopus (Alternative Air source) is an essential; you will also need a Dive Computer or waterproof watch with second hand or stopwatch function during the IDC, in the IE and also later as a Dive Instructor teaching real students. We have found that these are among the most commonly asked questions about the PADI IDC. Will my IDC package include arranging accommodation, transportation, meals and other basic needs? How can I best prepare for the IDC / IE? Make sure you are familiar with all the new materials, especially if you never used them as a student. Answer the quick quizzes, student concepts, quick reviews, course Quizzes and Exams etc and make sure that you are comfortable with the style of questions that PADI uses. Make sure you update your instructor manual with all relevant Training Bulletins If f you are missing any you can download them from the Members section of the PADI website. You will be expected to maintain a positive attitude and work with your fellow candidates and staff throughout the program.